The sun is shining, birds are whistling, people are smiling. Spring has arrived (not yet, but we can pretend)! 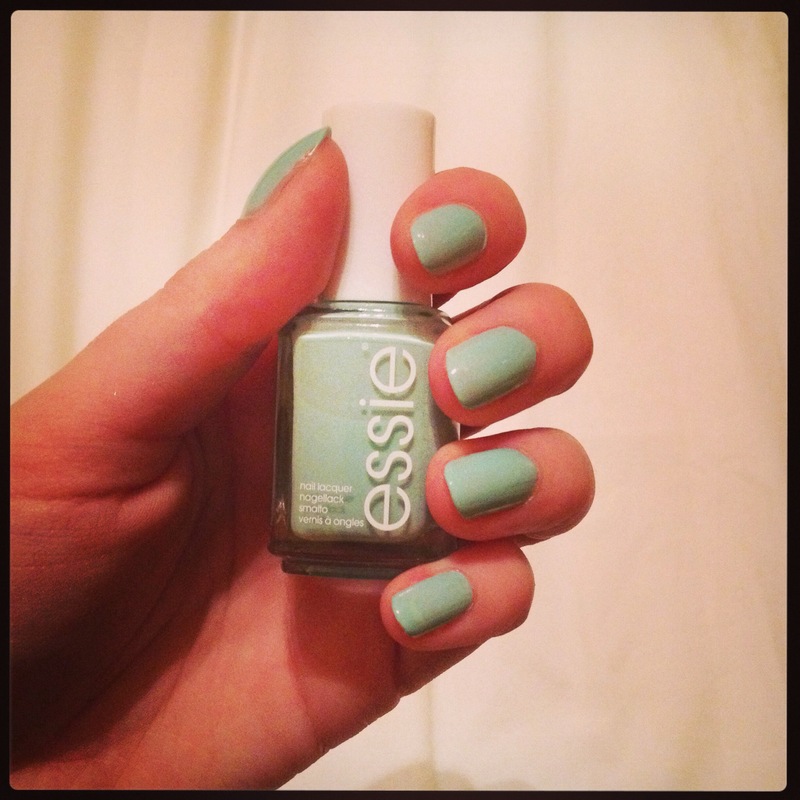 I recently bought a bottle of nail polish from Essie’s Spring Collection, the one I took home was Fashion playground. And can I just say that I’m in love with it, the colour is beautiful and the quality of the polish is great. I also have a slight obsession with bright colours in Spring and Summer, I decided I wanted to paint my nails in turquoise this week. The colour is GreenBerry from the Barry M gel Collection. Here’s the result.